Courtesy of Night Train Swimmers, Corsica to Sardinia, Mediterranean Sea. 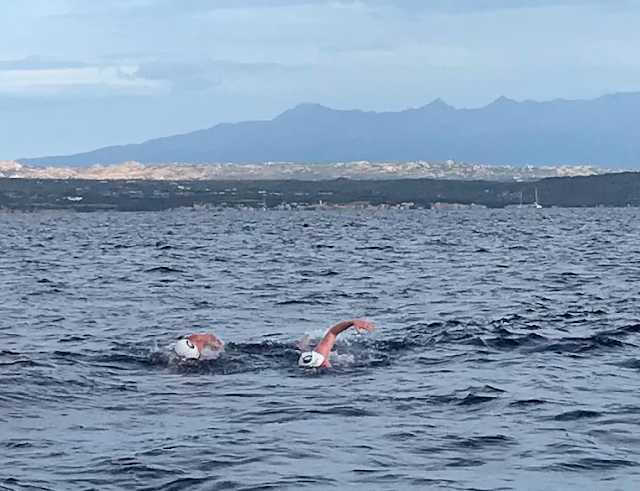 Henry and David Holscher completed a Night Train Swimmers tandem crossing of the Strait of Bonifacio in 5 hours 13 minutes. They reported on the charity swim on behalf of the Alzheimer’s Foundation of America, "Our swim was more difficult than expected. There was significant current and wind. Our course was circuitous at best. Henry swam incredibly well. It was a beautiful day." The father-and-son tandem team were the second and third Americans to complete the cross-border swim between the French island of Corsica and Italian island of Sardinia that divide the Tyrrhenian Sea from the western Mediterranean Sea. Their crossing is a precursor to a separate race along the same course this coming weekend when Alessandro Pilati of the Circuito Gran Fondo Italia (Gran Fondo Italia Series) will host the season-ending 15-17 km Gran Fondo Bocche di Bonifacio. 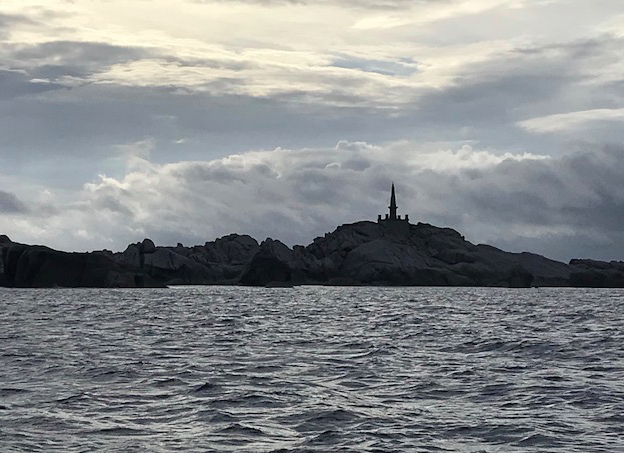 Luca Salati comfortably leads the men's rankings going into the season-ending crossing while five women (Claire Deanoz Marie, Fabia Maramotti, Sigsgaard Grith, Stefania Bove and Camilla Montalbetti) could potentially capture the title with a win across the Strait of Bonifacio. For more information on the Gran Fondo Bocche di Bonifacio, visit www.circuitgranfondoitalia.it.